Billion Casino - Claim Your Exclusive Welcome Bonus Today! The year 2018 has no doubt witnessed the additions of several online casinos. Likewise, one of these new additions is Billion Casino. The platform is a brand new outlet by Aspire Global Limited. As a renowned operator, there is no doubt that Billion Casino would offer something different. As is the tradition, Billion Casino runs on Aspire Global software. However, they also feature games from plenty of renowned game developers like NetEnt and many others. Hence, they have a wide selection of games. Also, Billion Casino has plenty of bonuses and promotions. So, if you always crave a generous welcome bonus, the offer from Billion Casino is quite tasty. However, you can be the judge of whether or not the terms are also tasty. Billion Casino has a license from the UK and MGA. This means that players from the UK and its environs are welcomed. At Billion Casino, every new player is treated with care. Hence, Billion Casino offers new players the chance to start their journey in a big way. There is no better way to describe an offer that offers as much as £200 and 100 extra spins over three deposits. The cash bonus is only available on the first deposit. Likewise, the extra spins are divided over three deposits. in addition to this promotion, Billion Casino also has a special VIP loyalty program for loyal players. The VIP program comes in multiple tiers. Likewise, the rewards are also cool including cashbacks for VIP players. If you are looking forward to enjoying your welcome bonus and other promotions then you must study these terms religiously. Certainly, Billions Casino will not be held responsible as so many terms have been stated. While Billion Casino supports multiple languages, variations in these terms in other languages will not be tolerated unless it is in line with the English version. To ensure fair and responsible gaming, the welcome bonus must be wagered a minimum of 35 times. All winnings from extra pins must be wagered 50 times before any request for withdrawal is made. Not all games add to the wagering requirements. Some of the games in this section include games like Mega Moolah; Blood Suckers; Jackpot 6000; Roulette games and many more. Certainly, help is vital. Likewise, Billion Casino has made provisions to provide players with all the help that they need. Hence, they offer support 7 days a week between 8 am and 1 am CET. This may not be enough but it is quite efficient so far. Players can fill the “contact us” form on the website. Also, there is plenty of information in the FAQ section. Hence, if you wish to have a smooth gaming experience at Billion Casino, you need to help yourself first by visiting the FAQ section and contacting support for more information. The live chat feature is also available at the stipulated time. While the list still integrates several other methods, Billion Casino also accepts payments in different currencies. All payments are processed between 3-5 days or up to 8 days depending on the methods of interest and some other factors. Certainly, you can enjoy Billion Casino from your mobile device. The website supports mobile phones (Android and iOS). Hence, players can enjoy this amazing platform anywhere and anytime. Also, do not forget to get your share of the Christmas promotions. There are more than enough promotions to go round this season. 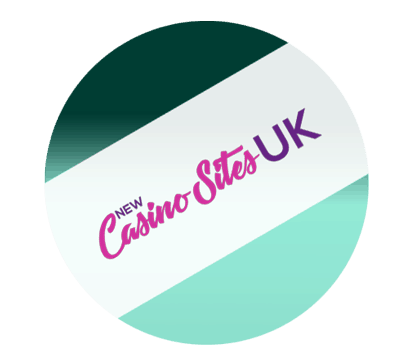 Remember to check out new casino sites daily for more reviews like this one.